deedee sharon: I'm Gonna Need Some Cute HAIR!!! I'm Gonna Need Some Cute HAIR!!! Well, the verdict is in and after much testing, it looks like chemo will be the drug of choice. It's not the path I would have chosen for myself, but I can't even begin to explain the peace I have. I know that your prayers that have gone up on my behalf have been a sweet aroma to our Father and they are going to be answered in a glorious display of His splendor. And I can't wait! In the meantime, I have a prescription for a "cranial prosthesis"! Isn't that the funniest thing you've ever heard?!!! I will be looking for me some cute HAIR this week! Thanks for letting me share my journey...what great therapy! You have been such a blessing to me and your faithfulness to pray inspires me so. Many of you I have never even met and it's as though we have been friends for years. God is such a creative genius! Isn't it fascinating that we are made in His image? Oh, I love Him so. You will find some cute hair girl!!! Pick something sassy : ). 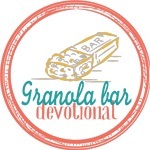 I read a story today off T. Suzanne Eller's blog on the Proverbs 31 web site. It was to pass on to you. Go see your flowers. I'LL be praying for you. Why hair? Just go with the scarf or FUN Hats instead. God impressed upon me today the power of prayer and He hears everything I say to Him. Now, I already KNOW those things to a degree but He wanted me to remember an occasion I had with Him in prayer a few years ago. He interrupted my prayer with a comment and adjusted my attitude. He used it to remind me that He is listening now....another words, is there anything you would like to ask me Barbara? I asked for you and another new bloggy person I met to be healed. I felt God wanted me to ask him for exactly that. The moment felt powerful. You hang in there girl. 2009 is going to be a good year. You are constantly in my prayers, my wonderful friend and mentor!!! You are an amazing woman! You have such a beautiful face that you will look good in anything you put or do not put on your head! Love ya sister!!! Did you get some cute hair yet? I am continuing to pray!!!!! !